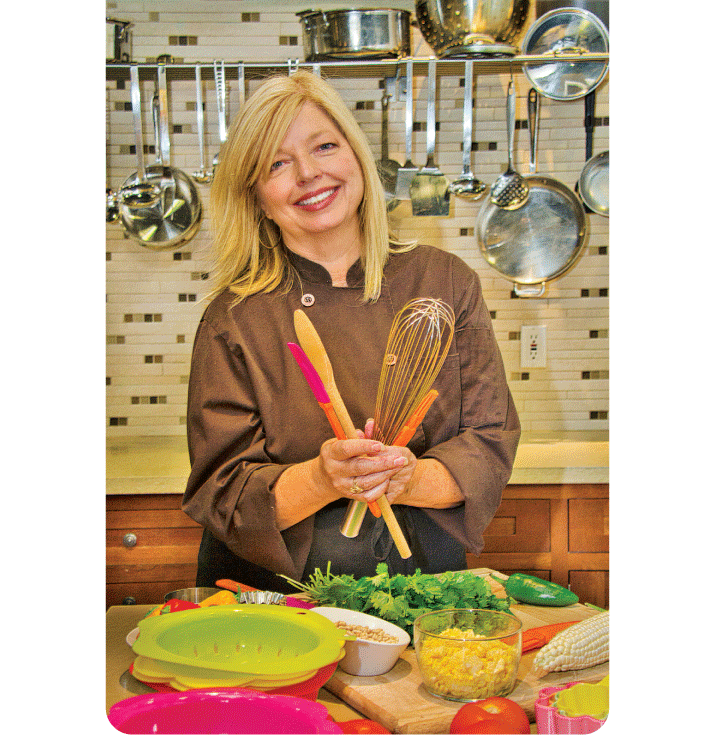 Professional recipe author, Cheri Liefeld, is serving up a fun array of creative cooking classes via her new venture, Adventures in the Kitchen, located at Le Gourmet Kitchen on West Chapman. Attention foodies, here’s what’s cooking in Old Towne! Orange County native and professional recipe author, Cheri Liefeld, just launched a cooking school, Adventures in the Kitchen, with classes held at Le Gourmet Kitchen at 541 West Chapman. A personal chef who has developed hundreds of recipes for Betty Crocker and General Mills, Cheri decided it was time to share her passion for cooking with the general public. The opportunity arose organically when she was hired by a corporate client to teach a series of cooking classes. Looking for a place to hold the classes, she contacted Le Gourmet Kitchen, a kitchen design and remodeling company that features a fully equipped kitchen in its showroom. The idea for a long-term partnership was born. Themed around fun topics, classes range from Girl’s Night, Date Nights and Kids’ Cooking programs to Spanish Tapas, Fabulous Fall Soups and even Cocktails, Mad Man Style. Each month, the Cooking The Seasons classes focus on a seasonal ingredient, while Cooking With Balsamics features dishes paired with flavored vinegars, such as short ribs with espresso balsamic glaze. Since opening this summer, the response from the community has been tremendous, Cheri says. Her love of Old Towne makes the new venture even more special. Cheri is particularly excited to teach the art of cooking to children and donate some of her time to worthy local causes. For information, visit AdventuresInTheKitchen.com or contact cheri@AdventuresInTheKitchen.com.